Bamboo is one of the most favourite resource materials due to their self-generating properties and durability. There are hundreds of products made from bamboos from raw to finished products like furniture, flooring, clothing, and building materials. Let’s get to know more about the creative and exciting uses of the bamboo plant. Experience the joy of having beautiful and unique custom bamboo cabinets built to the highest standards of sustainability, utility, and craftsmanship. Bamboos are perfect materials in creating kitchen cabinets due to their structural integrity, environmental benefits, and natural appeal. Having aesthetic materials at home will give you an assurance of a healthier environment. Toys made out of bamboos are generally mess free, durable and environment-friendly. It can withstand rough and extended play. You can find lots of available bamboo toys online for your animal buddies. Protect yourself from rain and sunlight with these bamboo umbrellas. The rod, as well as its top parts, are entirely made of bamboo. This is made from bamboo rayon fabric, which is incredibly soft and comfortable. This garment helps wick moisture and regulate body temperature. They are also odour and wrinkle resistant. Provide your baby with warmth and comfort with these bamboo baby clothes. Babies have very delicate skin. Their skin is three times thinner and more porous than adults; that makes bamboo clothing perfect for kids. Bamboo clothing will keep your precious ones cool in hot weather and warm on cold nights. Stand out from the rest with this bamboo eyewear. 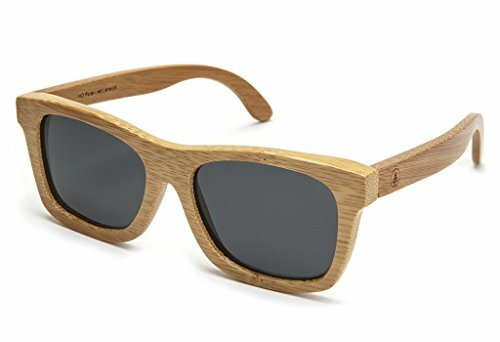 This pair of sunglasses is made from a unique line of plastic and bamboo that protects your eyes from harmful UV rays. They are also very light – making them perfect to carry anytime. Go green with these luxurious bamboo bath, hand, and wash towels. These are made from pure natural bamboo fibres. They are available in a variety of colours that you can freely choose. Premium bamboo flooring has a chic, natural and exotic look. Plus, it’s relatively less expensive than its hardwood counterparts, which makes it an appealing flooring option for many homeowners. They are available in different styles, colours, and patterns suitable for your taste and lifestyle. To learn more about bamboo floors, you can visit Bamboozle showroom in Perth.